On January 1, 1916, Prohibition began in Washington State, making the production, distribution and possession liquor illegal. This was three years before liquor was prohibited by the federal government and it would be seventeen years before prohibition ended in 1933. But the party didn’t stop in Seattle. Who would have guessed that polite, tech nerd Seattle was once home to approximately 4,000 raucous illegal speakeasies? We have Canada to thank for these wild times. Liquor remained legal for our neighbors up north and they were kind enough to do business with us underground. The Museum of History and Industry (MOHAI) told Seattle all about it over the summer. In conjunction with the visiting exhibit American Spirits: The Rise and Fall of Prohibition on display from April 2rd to August 23rd, 2015, MOHAI hosted Speakeasy Saturdays where visitors could chat about Prohibition-era Seattle and sample contemporary Puget Sound-made craft beers, ciders, and liquors. 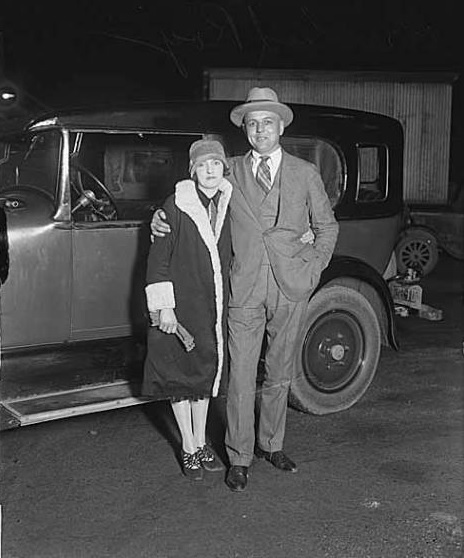 One of the most interesting characters of the Prohibition era was Seattle’s own, Roy Olmstead. Nicknamed the “King of the Puget Sound Bootleggers,” Olmstead was the youngest and most promising lieutenant on the Seattle police force when he was caught bootlegging whiskey and was fired from the police. He then turned himself into a professional bootlegger and before long, he was making more in one week then he would have earned in twenty years as a policeman. According to History Link, By 1924, Olmstead’s operation had been so successful that he now specialized in wholesaling liquor to his distributors. He was a popular figure on the Seattle scene, close with the mayor and local politicians as well as important businessmen. That same year, Olmstead divorced his wife, Viola for a young English woman he met in Canada. The Olmsteads founded the American Radio Telephone Company, and had Alfred M. Hubbard, a young inventor and business partner, build a large radio transmitter and one of Seattle’s first commercial broadcasting studios, Station KFQX (later KOMO! ), in a spare bedroom at the residence. 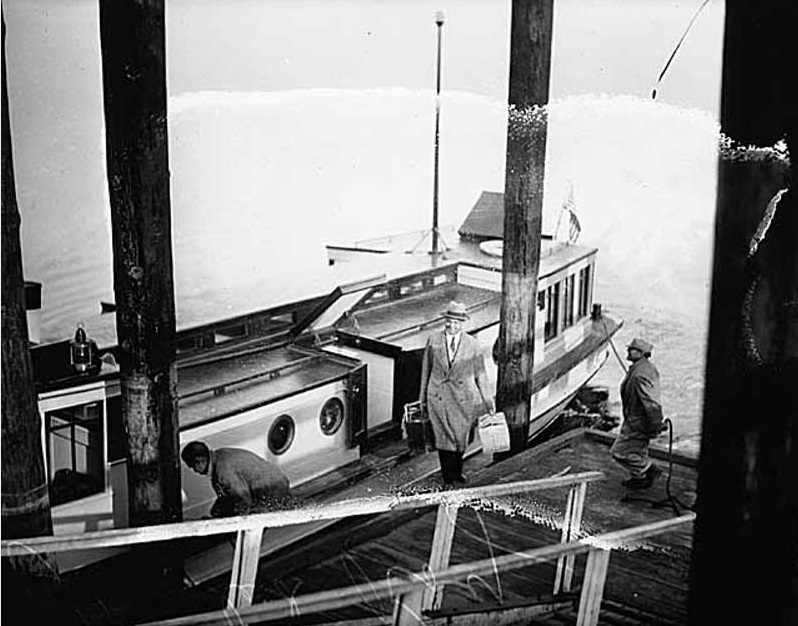 Prohibition agents speculated Olmstead was using the station’s broadcasts of children’s bedtime stories to send coded messages to his boats running rum. 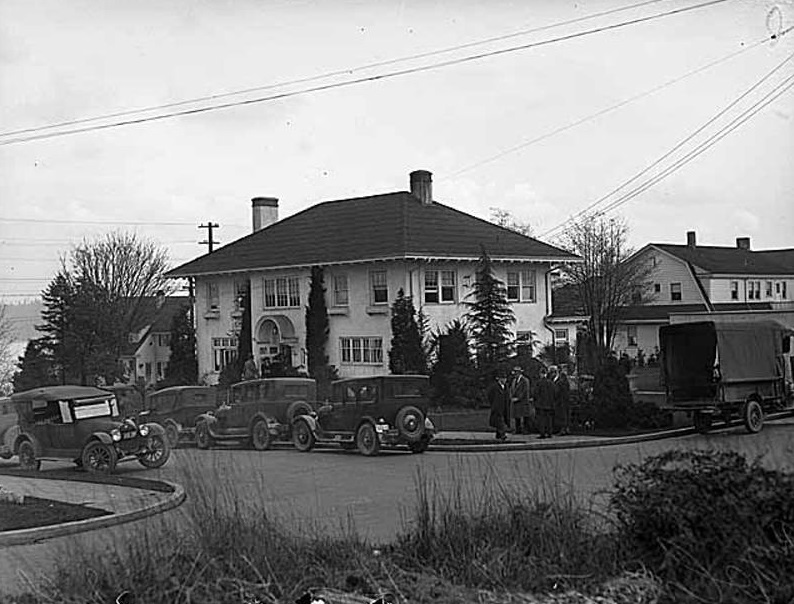 Olmstead bought a beautiful mansion, which they dubbed the “snow-white palace,” at 3757 Ridgeway Place in the exclusive Mount Baker residential neighborhood, overlooking Lake Washington and Mount Rainier. Using surveillance, informants, and wiretap information, federal agents gathered enough evidence for a search warrant of Olmstead’s Mt. Baker residence. 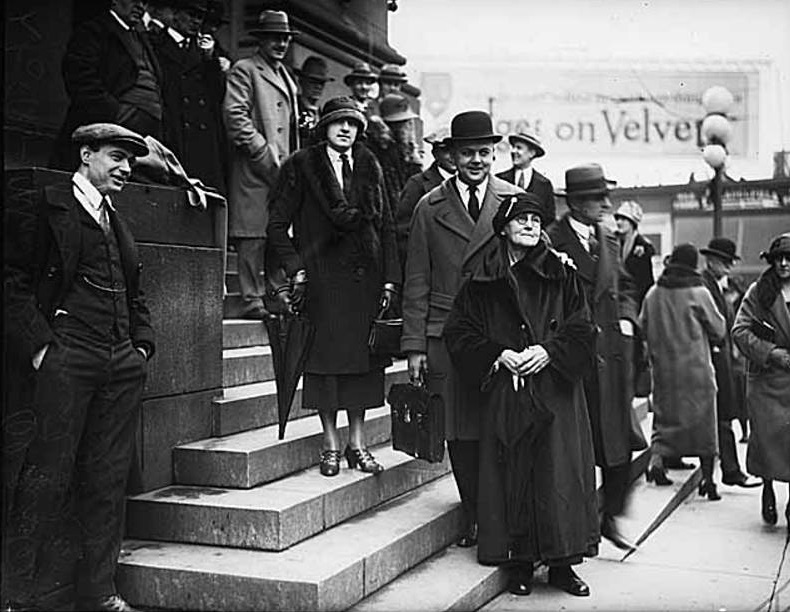 On November 17, 1924, agents raided his home, arresting Olmstead, his wife Elise, and fifteen guests and seizing all of the organization’s records, reports History Link. The case went to the Supreme Court in which the Court reviewed whether the use of wiretapped private telephone conversations, obtained by federal agents without judicial approval and subsequently used as evidence, constituted a violation of the defendant’s rights provided by the Fourth and Fifth Amendments. In a 5-4 decision, the Court held that neither the Fourth Amendment nor the Fifth Amendment rights of the defendant were violated. This decision was later overturned by Katz v. United States in 1967. Among other generous gifts, Seattle has Olmstead to thank for liquor during prohibition, beautiful real estate, and Steve Pool. KOMO. What happens next, happens here.